YOU are NOT Alone! | STEP-Carefully! for Stepparents! Do you feel like you are all alone in the woods with no way to safety and peace? Join the club! As I’ve met with thousands of stepparenting couples, I’ve noticed that most of them fear that they are alone in their struggles in building a new family together. Most remarried couples are unaware they are, in fact, part of the majority of families in America today. The same stressful challenges you face with your stepfamily – the rebellious stepkids, the interfering ex-spouses, the difficulty in getting past your painful past, fears, confusion, hurt feelings – are the same issues virtually every stepfamily is trying to survive. And many times, it helps these stepfamilies to learn they are not failing, after all. If you are a stepparent, or married to the stepparent of your children, let me assure you that you are not alone either in the challenges you face, or in finding solutions to those. Let’s look at the most common trials among blending families – and some tips that have helped others to overcome. My stepkids hate/resent/don’t like me! Even if your new spouse’s children were crazy about you before you married their mom (or dad), you should know that it is very common for them to resent your presence in their family. In fact, it’s even understandable, if you think of their point of view. These kids have witnessed their mother and father turn their world into a war zone where the kids have to constantly switch their allegiances from one to another. Their future is uncertain; their past is memories of chaos, and now you have popped into the picture, another adult to complicate things. Who wouldn’t resent that? So what do you do about it? The best advice is to slow down, move back, and step carefully. Show your stepkids how unshakable you are, even when they test you. Demonstrate to them how steady is your care and concern for their parent, and that you are a calming influence in their home. Whatever you do, DON’T add to the tension in the home by charging in with a whole new set of your rules to further complicate their lives. Don’t try to be either an instant buddy or an instant authority figure. Allow the biological parent to be the parent. You just concentrate on being a blessing to your new spouse. Give your stepkids time to “adopt” you based on your charming, calming presence in their parent’s life. My spouse’s/my ex is driving us nuts! Another basic fact of life in stepfamilies is the ex-spouse or ex-spouses. Some are nearly invisible, but many others are far too involved in your life. When you dreamed of marrying this dream boat you’ve won, you most likely acknowledged the existence of that “other person,” but you probably also didn’t expect them to be part of your family. For better or worse, the other parent – whether your ex or your new mate’s ex -will become an important part of your new life. How do you handle them? Well, that depends on a few factors: first, what does your mate want you to do? Always (always!) put your spouse’s desires and needs before your ex-es’ wants. Second, how will your “help” affect your relationship with your stepkids? You are building a future of friendship with them; attacking their other parent is a sure killer! Third, try objectively to see how your participation affects the overall family health. If your chipping in of advice causes more tension, go take a walk! Your overall goal is a peaceful, happy family. Don’t rock the boat. My spouse and I seem to fight too much! While a few blending families move smoothly into the new relationship with few explosions, most experience many upsetting disagreements for various lengths of time. Often these “settling in times” can last for the first few years of your new marriage. Why do stepcouples fight more than first marriage newly weds? Because they are build on a foundation of brokenness, disappointment, and failure. One, if not both, of you have been through a traumatic breakup or divorce before finding each other. Those leave scars of fears and sensitivities that are difficult to just ignore, as much as you may try.How can we stop the fights? You can’t – at least not immediately. You have a lot of issues in your past. To deny that and act like this is your first marriage is dangerous. Accept that you each have a past. Accept that both of you are rebuilding your trust, your hearts, and your skills as spouses. Give your mate much more forgiveness than you ever did your first partner. Your love is going through the same confusing feelings and tumultuous emotions you are. This is a natural part of remarriage! You have been betrayed or hurt and you have to grow past your past. You have to relearn trust. This can be extremely difficult. If you feel your relationship is being damaged, GET HELP! 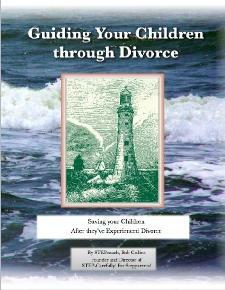 Do-it-yourself mediators wind up divorced. You can build a happy, healthy new future in this family you’ve created. I’ve done it, and I’ve seen thousands succeed where it looked impossible. One of the most important facts to remember is to be patient and to give yourself and your mate time to work through the newness. Nationally, it takes from FOUR to SEVEN years for a stepfamily to blend successfully. If you’re in the first year or two of your marriage and still stumbling along – THAT’S NORMAL! It’s just a part of the rebuilding process which is so necessary in second or third relationships. Don’t panic. Don’t give up. Instead, remember your vows – “through sickness and health, til death do us part.” You’re committed to this for the rest of your life. Don’t give up – make it better. If you can’t do that on your own (and the divorce rate shows how tough it can be! ), then get help. Call or write me, find a pastor or priest who understands divorce recovery and remarriage, or look for a counselor to help. One note of caution: make sure any counselor you work with is fully competent to work with remarriages – one who is a stepparent him or herself is often best. Bottom line: you can do this. If you will work together as a team, you can build a super family. A husband and wife who are committed partners can over come any of the challenges common to stepfamilies. In fact, a team like that can overcome anything that comes along. This article was very comforting to me. I was shocked by the changes in my child and my new husband's children after our marriage. I had no idea things would change so much. I am hopeful that things can get better and that I am not alone in this. Thank you! Dear friend, It has been a few years … how have things turned out?